The Narmedeshwar Shiva lingam is a naturally found Shiva lingam in the Narmada River, in the state of Madhya Pradesh, India. This place is regarded as one of the sacred destinations of the seven holy ones. They have a natural shape and form with three lines in it which is also called the Tilal or the Tipun. After taking it out from the river bed, they are finely painted and carved out giving it a finishing touch. They are regarded as very sacred and pure since they are found naturally deep inside the river bed. It represents Lord Shiva, who is known as the destroyer of all evils and bad things in this world. The mention of the lingam has been done many times in the Shiva Puranas too. 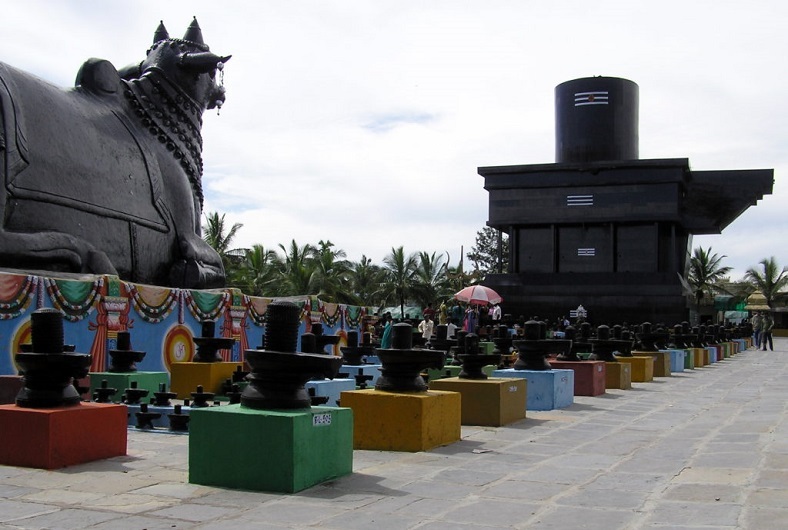 It is believed that Lord Shiva resides in those places where the Narmedeshwar Shiva lingam is kept. Being omnipresent, he resides in every being. Lord Shiva is regarded as the creator as well as the destroyer of the Universe. This is why he represents the one and only Supreme force of the Universe. He is said to have three eyes. The third eye of Shiva opens only when there is a sign of evil in this world. Hence, he has two forms, one is gentle and the other is fierce. He is also known as the ideal lover and the main fertility source of all living beings. In spite of his being austere, he is generous towards his devotees blessing them with prosperity and happiness. He acts as a safeguard to his worshippers from the evil forces like lust, anger and greed. He has the power of having the cosmic activity of creating and destroying. Therefore, the Narmedeshwar lingam has so much significance in one’s life. In order to receive full benefits from the Narmedeshwar lingam, one has to follow the rituals of daily worshipping it by lighting incense in front of it and giving offerings of the Bilva as well as of the Tulsi leaves. On special occasions, the Shivalingam should be bathed with milk and honey. The best direction of the placing of Shivalingam is the north direction which means that the Yoni of the lingam should be placed in such a way that it points towards the north. East is the second option of doing so. 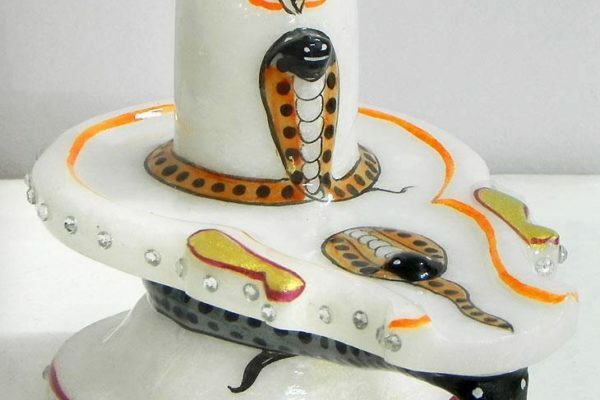 A remarkable feature of this lingam makes it different from the other ones. It is carved and sculpted out naturally by the flow of the river current by the water. On offering prayers in front of the lingam, one should chant the famous verse Om Namah Shivai constantly. There are many benefits in keeping a Narmedeshwar Shiva lingam at home. You can get rid of all types of ailments by performing daily prayers to the lingam. It is also said that this lingam eliminates the bad effect of the planet Saturn. It also helps in maintaining relationship between married couples. Praying to the Narmedeshwar lingam is also said to destroy all the sins of the person. Offering prayers to the lingam with sincere devotion of heart and mind, one can also destroy the past karmas of one’s life.